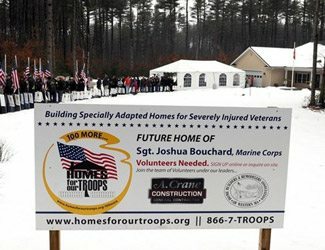 Sergeant Bouchard has moved into his new home in Granby, MA thanks to all the volunteers and HFOT. A. Crane was proud to be a part of bringing Josh this wonderful gift of gratitude. Please see some of the local news coverage available for more details and photos!